Kelsie is 15 years old. 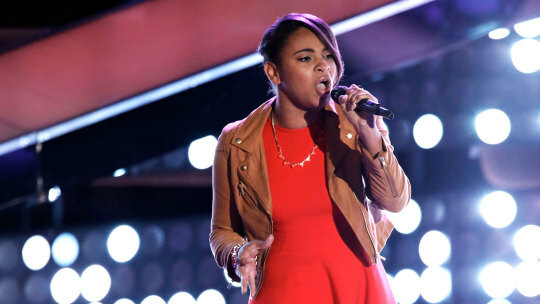 Putting her videos on YouTube of her singing helped boost her confidence. 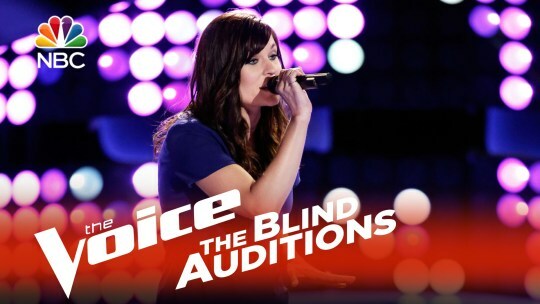 Loretta Lynn is her idol, and she sang “You’re Looking at Country” for her blind audition. Coaches Comments: Blake told her they are looking at country! 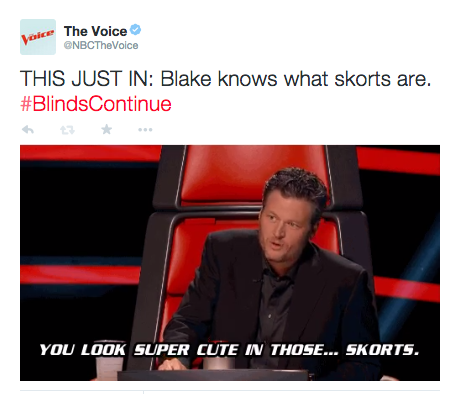 He bragged about the country singers on the radio that have been on Team Blake – The Swon Brothers, Danielle Bradbery. Christina said she’d love for Kelsie to be on her team to represent County, and she won’t get “lost in the shuffle” as she would on Blake’s team. Kelsie is Blake’s first female country artist. Coaches Comments: Adam said he liked that he wasn’t trying to do something that everybody else is doing. Christina told her that his quality is to wear his “inner fire.” Blake said he’s there to help him become the best Jacob that he can be. Adam compared Jacob to a young Michael Jackson. Adam bragged that Pharrell will help him with Jacob. Jacob chose Team Blake. Kimberly described her voice as “edgy,rock-and-roll blues” type of voice. She left corporate America to work the daily grind of a singer. Coaches Comments: Adam said Kimberly hit a “Pharrell run”. Pharrell told her that he loves people that look like one thing, but are perfect blend. Blake said he’s not a soul singer, but he has a soul and he loves her! Of course Kimberly picked Pharrell, and Blake was crushed. Describes himself as a rock-and-roll, and bluesy. Travis said he’s more of a musician and breaking into the music scene as a singer/song-writer artist is very challenging. 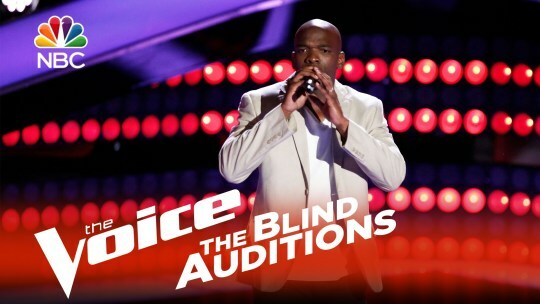 He sang “Say My Name” by Destiny’s Child for his blind audition. Coaches Comments: When Adam said Travis was so heavy in the pocket, but he’s an idiot, Travis told Adam he fully agrees with that! But, the pocket part. Christina said who he is as an artist is that he thinks outside of the box. Blake said he works with people who are not like him and “helps it to be as good as it can be.” Pharrell told Travis that he was “so in the pocket.” Travis picked Pharrell. Michael is a 20-year-old who started a band at age 16 and played in downtown Fargo in bars. His band mates all went their separate ways after high school graduation. Mike is set on chasing his dreams. 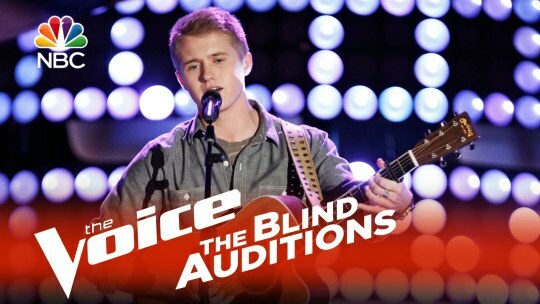 He sang “Last Kiss” for his blind audition. 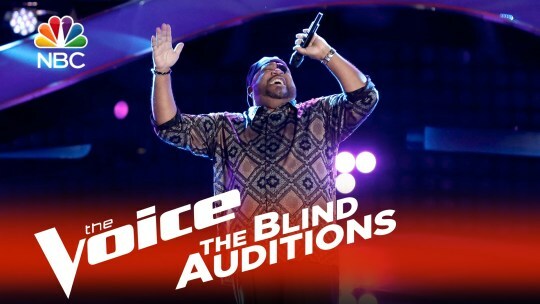 Coaches Comments: Blake couldn’t believe that it was him singing after he turned around. Adam was impressed by Michael because he said he really did his own thing and didn’t try to sound like Eddie Vedar. Blake told him that he’s a phenomenal singer and doesn’t sound like anybody else. Michael picked Adam. He had a 25 year culinary career. He was backed by an investor for opening his own catering business called “No Laughing Matter Catering.” Barry retired from cooking and moved to Palm Springs where he’s been singing at retirement communities. Barry sang “Mrs. Jones”. 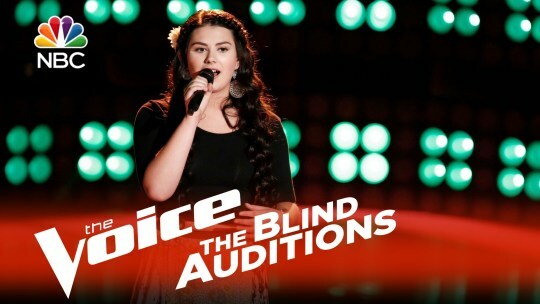 Coaches Comments: Adam said it was “controlled and legit.” He told her that the note is insane for her to go high, then low Christina said she really, REALLY wants to be her coach and ready to fight Adam for her. Sonic picked Christina. 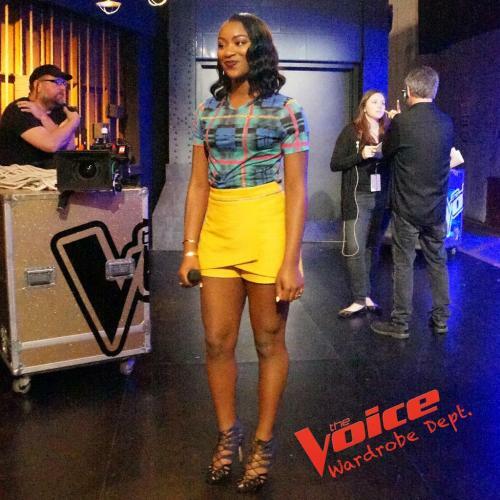 The most hyped-up audition on the night came from young UCLA college student India Carney. She has devoted most of her life to music since middle school. Also trained in Opera, the bulk of her performances have been in school. 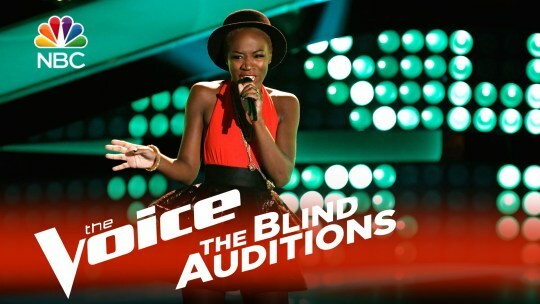 She sang “New York State of Mind” by Billy Joel for her blind audition because it makes her feel at home since she is from Boston. 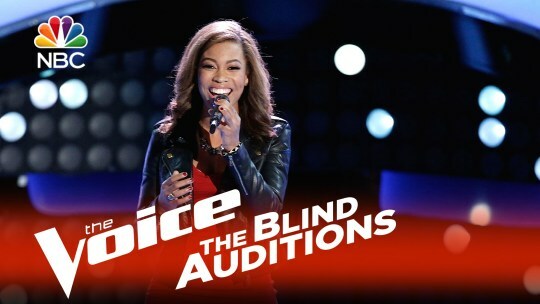 India’s “The Voice” expectations are to help her build a career in music. 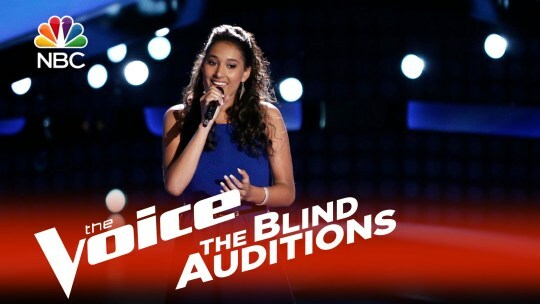 Coaches Comments: Christina told India that she is the answer to her prayers, and called her “a vocal beast.” Blake said he fell in love with her voice and believes in her 300 percent. Pharrell had four things for her which included: he would love to have a voice like hers, and if she doesn’t make it on his team, he will steal her. Adam said he loves Billy Joel, and she inspired him to turn around even though he was trying to conserve his chair turns! He also expressed his support of her – that she’s going all the way and he wants to be on that train. Adam told her that she will never be available for a steal on his team because he will keep her. But then, India ended-up picking Christina. Some contestants took to their blind auditions without a single chair turn. Tonight included Hannah Ellis and Ella – both of who were encouraged by the coaches to return another season to re-audition. Hannah Ellis is a teenager who does occasional door to door sales for her Dad’s company. Blake told her that she has a good tone, but sings too sharp. 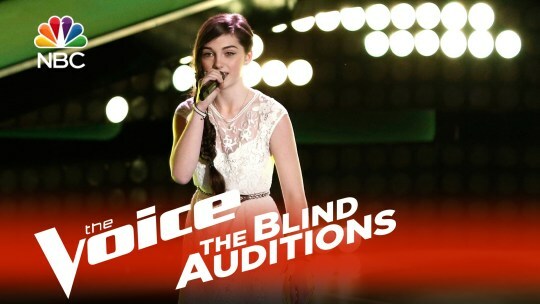 Christina said her voice “cut through and was very clear, but fell a bit short” and told her that practice will solve this. Ella, who is from New Orleans just turned 17 years old. Christina said she heard a few cracks which is from her being so young. But told her she has great potential. Blake said he also heard a lot of strength in her voice. Pharrell felt like she should have kept the original tempo of the song. Ashley said she’s into music because she wants to move people emotionally with her music. 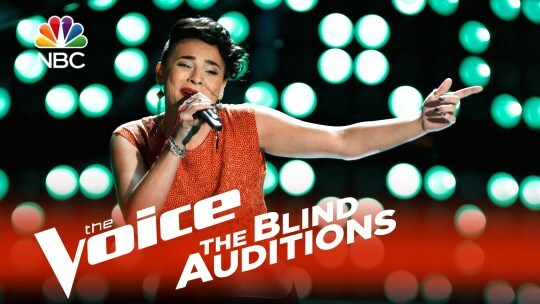 Ashley sang “I Wanna Dance with Somebody” by Whitney Houston for her blind audition. Coaches Comments: Blake said “I have not been this excited about a freaking artist in a long time.” Pharrell told Ashley, “It’s called The Voice – its’ about people like you.” Christina rallied for Pharrell by saying “Pharrell has had hits world wide.” Blake tried to win over Ashley by telling her, “If you want to move people with music, Country is stories that can change people’s lives.” Ashley picked Pharrell. Christina said she regretted not pushing her button for Ashley. Coaches Comments: Blake told her she’s a Country girl dammit since she’s from a small town, and begged her to join Team Blake. Pharrell said he pressed his button because he heard her nerves and could work on it with her . 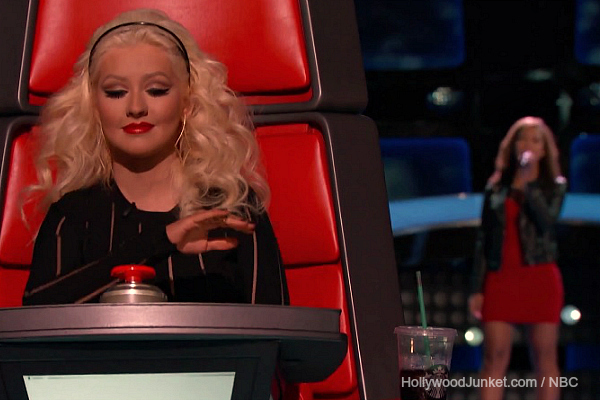 Christina mocked Pharrell’s fake limp and did a great imitation. Briar chose Pharrell. Koryn from Abbeville, Louisiana and a Junior in high school. She performs at nursing homes, but mostly church. 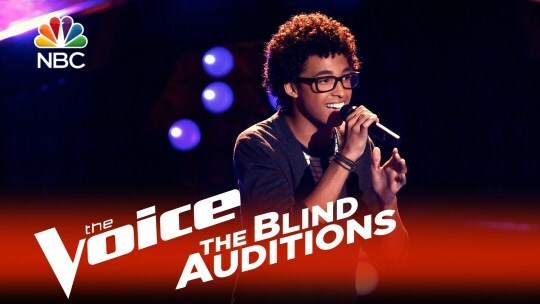 He hopes for being on “The Voice” is to grow as an artist an to get the right exposure. Coaches Comments: In choosing a coach, Christina told Koryn that she should follow her heart. Koryn chose Team Christina. He sang in the United States Army and is a lead vocalist in the West Point band. 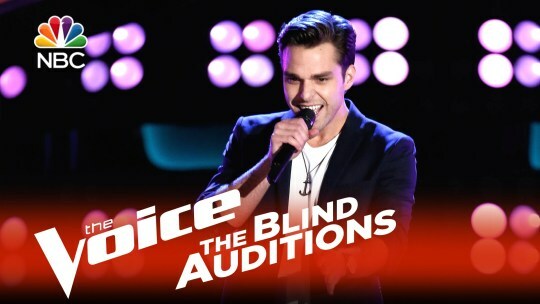 Coaches Comments: Blake said he can carry Jeremy through the gauntlet of The Voice. Adam said seeing the way that Jeremy performs, it adds to his talent. 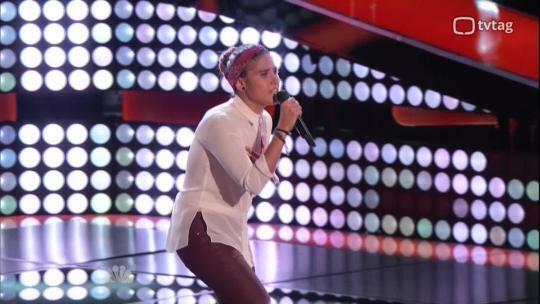 Christina said his talent is undeniable and that her Dad is in the Army and is familiar with that background. She offered to win this whole season with him. Pharrell said Jeremy is headed to greatness. 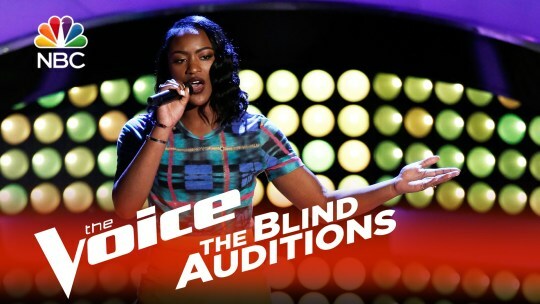 Jeremy chose Team Christina. Coaches Comments: Adam said there were things that were not great. He rated her audition at “about a 7.” He said he can bring it to a 10. Blake said more than anything they could hear the potential, He said he specializes in getting rid of her nerves. Adam tried to win her over by telling her she’s not a Country artist. She picked Adam. Jack is 37 years old. His family didn’t want him to pursue music straight out of high school. He went to law school and started his own company with a billion dollars per year income. When the stock market crashed, he lost it all. So, he re-evaluated his life and started focusing on his music again. 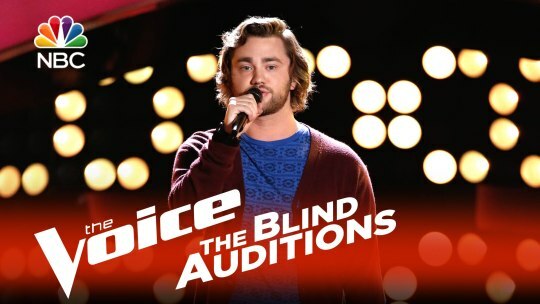 Coaches Comments: Blake told Jack “great job” and is letting him go to Adam because he’d like to see what happens since Adam’s dream is to beat him with a country singer. 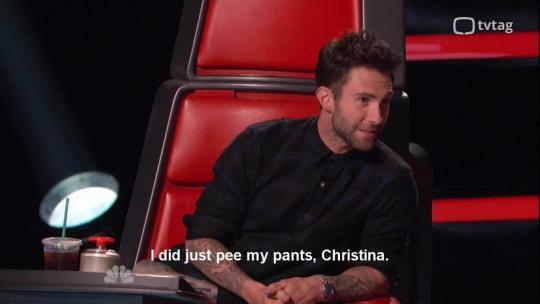 Christina predicted that Adam just peed his pants from the excitement. She sang “The House that Built Me” by Miranda Lambert because she grew up in a log cabin where she discovered and practiced her gift of singing. When her parents divorced, they were forced to move out of the cabin. Brenna is sadden by the move. Coaches Comments: Brenna told the coaches that the song is tattooed on her and her sisters’ feet because she grew up in a log cabin. Blake said she has the way of connecting people with music. 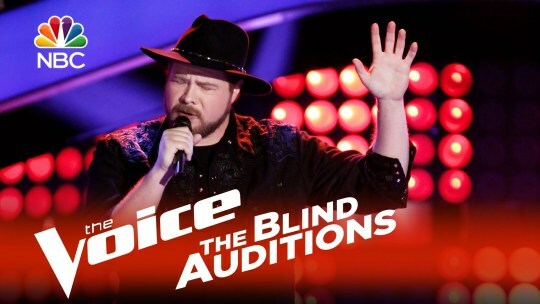 Adam said he has a guy who can help him with her – as he pointed at Blake. She chose Team Blake. Brian pursued music in high school and having kids call him “fat” made him self-conscious. When he got to college, he started a band called “The Rescue.” When his dad got sick with M.S., his family struggled to get through it and his parents divorced. His dad said he’s inspirational and is gifted. He’s hoping for Adam to turn. The first button pusher – Adam! Coaches Comments: Blake told Brian, “You sing with so much heart and emotion.” He told Brian that he’s an avid fan already. “There is nobody like you on my team” Adam told Brian along with advising him to make the right choice and let him coach him. Brian chose Blake. Corey started playing shows at the age of 11. He played with Oklahoma Stomp for five years . The band ended because members went off to college. He ended up at a concert to see Willie Nelson and got pulled up on stage to play with him when Nelson saw a sign he held up to play with him. 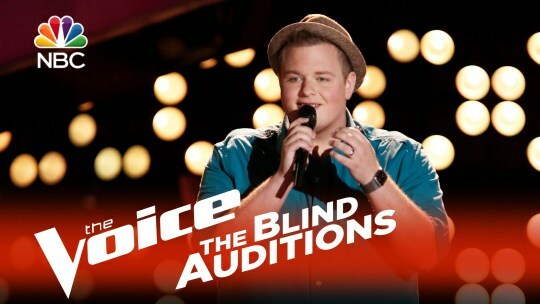 Coaches Comments: Pharrell said he works in all music and told Corey he has a great voice. Blake said he worked with “The Swon Brothers” from Oklahoma and there’s a pride people have from each other from Oklahoma. Pharrell said he knows that no one was pushing their button, and didn’t want to see Corey go home. He told him to look at the tape to see who pressed their button first. Adam back-stabbed Blake when he argued for Pharrell to win over Corey by presenting “The People vs. Blake Shelton” as he played like a lawyer. Corey chose Team Blake. Blake told her, “you developed a very cool sound.” His opinion is that the song never opened up to give her a bigger note. Pharrell said her sound is “left of center” and encouraged her to come back. Adam said it was too much fun. If you put that voice with something dark and beautiful, he predicted that, that would be successful for her. Christina agreed with Adam. The two of them thought Jess was too “peppy” for her sound.